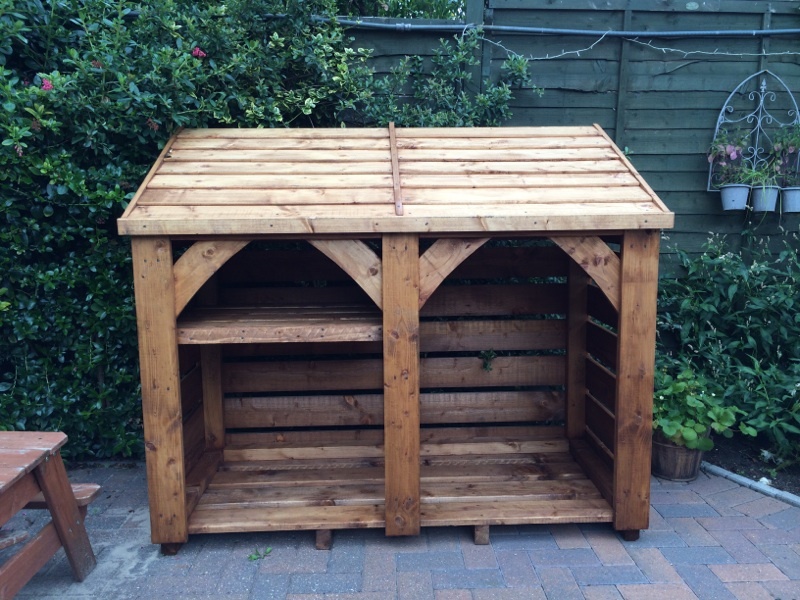 Thank you for our new woodstore which is well made and just what we wanted and hoped for. Andrew and a colleague delivered it to London on a Sunday guided it skillfully through our house and needed to take our back door off to finally place it in our garden. So impressed. Thank you. Lovely log store and thank you for taking the time beforehand to work out the details. It looks really lovely. We are really pleased with the three log stores and how perfectly they fit under the decking. We really appreciate the time and effort you took with the design and fit. The bespoke size was exactly what we wanted, thank you for the time and attention to detail you put in, it was well worth the wait. Many thanks for the delivery of the woodstore this morning â€“ it looks great! Sadie, many thanks, so helpful with delivery and we absolutely love the log store. I am so pleased with this log store. It is beautifully made, very solid and plenty of room for the logs. Ideal helpful delivery as far as my back garden. Thank you. Our bespoke woodstore arrived ahead of schedule and perfectly fits the space intended for it. The construction is of a very high quality, as is the wood used. Sadie and Andrew delivered it themselves and even took off the back gate to bring it into the garden! Overall great service by lovely people - worth every penny!